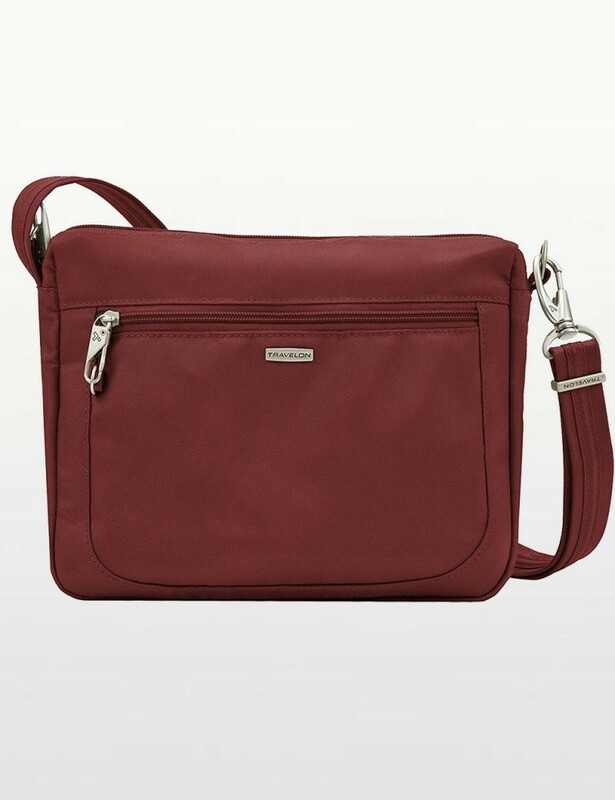 This Travelon Anti-Theft Classic Crossbody bag is the perfect go everywhere bag. It features a roomy main compartment with RFID blocking card and passport slots, an open top pocket, a zippered wall pocket and a tethered key clip with LED light. Front and rear zippered pockets are perfect for quick grab items and a smart phone. Travel securely and confidently with Travelon's anti-theft features including slash-resistant construction, locking compartments, slash-resistant and locking straps to keep you and your belongings protected. Exterior Dimensions: 10.5" x 8.5" x 2.5"
Protect your belongings from pickpockets and slash-and-grab thieves with Travelon's Anti-Theft bags. These roomy bags feature hidden compartments, chain link construction and locking zippers. Pack safe and smart to avoid theft!